The presidential system prides itself on its inherent separation of powers: the legislative body is distinct from the executive branch. Some presidential democracy advocate may point out that those were not democratic regimes. Because the label aside, it’s not at all easy to claim that we are following parliamentary democracy. In a parliamentary democracy, the parliament is supposed to be the great check on the prime minister. This too is an imaginary distinction, because things such as fiscal autonomy and bicameral legislatures can equally be features of a presidential democracy. Khan’s new pointman for the economy, Dr Hafeez Shaikh along with his team met the PM separately as the date for PTI’s first federal budget fast approaches. True, the economy the government inherited faced an unprecedented balance-of-payments crisis, but Mr Umar could not tackle it by claiming the ‘patient was now out of the ICU.’Apart from the budget, Dr Sheikh has got to finalise the IMF package which Mr Umar said had been negotiated. This team has been met with a position paper, which Dr Sheikh says will be ready by April 30. It is thus impossible to present the Budget as early as May 24, as Mr Umar intended. The recourse to the IMF was also something that Mr Umar fumbled on, at first carrying forward campaign rhetoric that excluded it, and then proceeding to apply for it. ATTOCK: A youth died while two others were injured in separate road accidents here on Sunday, police said. The first accident took place at Rawalpindi Road in Fateh Jang, a tehsil of district Attock, where an over speeding car hit a motorcycle carrying two people. One motorcycle rider identified as Ahsan Ijaz died in the accident while Zain Ali was injured. Two over speeding vehicles collided at Rawalpindi Road in Attock resultantly motorist Muhammad Noman was injured while two children present in vehicle, fortunately, remained unhurt. The body and injured were shifted to Tehsil Headquarter (THQ) Hospital for medico-legal formalities and the police after registering separate cases into both incidents have started an investigation. 208 die in eight explosions in ColomboColombo faced its first terrorism since the end of the civil war with LTTE a decade ago. Couple that with an Indian election, and the accusation cannot be dismissed out of hand. Secondly, such an elaborate attack, involving so many different places, required a high level of planning, coordination and financing. It should also realise that if a terrorist organisation is sophisticated enough to go to Sri Lanka to commit its crimes, it will probably be sophisticated enough to come to Pakistan and do the same. It should also be remembered that it is likelier to find local helpers and operatives here, than in Sri Lanka, where it did to such deadly effect. Indian premie­r says govt has change­d its policy of being scared of Pakist­an's nuclea­r threat­Indian Prime Minister Narendra Modi on Sunday claimed that New Delhi has stopped its policy of being frightened by Islamabad’s threats and said its nuclear capabilities are not being kept for Diwali. 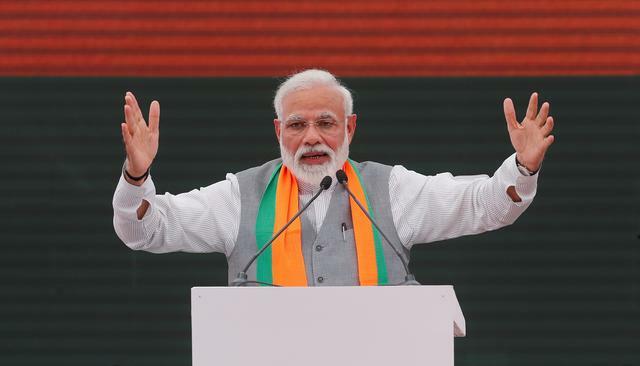 While addressing an election rally in Rajasthan, the country’s premier said that, “India has stopped the policy of getting scared of Pakistan’s threats”, according to India Today. “Every other day they used to say ‘we have nuclear button, we have nuclear button’. #WATCH Prime Minister Narendra Modi in Barmer, Rajasthan: India has stopped the policy of getting scared of Pakistan's threats. Every other day they used to say "We've nuclear button, we've nuclear button"…..What do we have then? -Nadeem Bhutto’s brother was a personal photographer for the Bhutto familyNAUDERO: The National Accountability Bureau (NAB) here on Sunday conducted raid at Naudero House and apprehended its in-charge and alleged close aide of Pakistan Peoples Party (PPP) Co-chairman Asif Ali Zardari, Abdul Nadeem Bhutto, in the fake accounts case. According to the NAB, heavy amounts from Omni Group Of Companies and other unknown accounts were deposited in his account. The sources further said that Nadeem Bhutto’s brother was the Bhutto family’s personal photographer who had shifted to Islamabad in 1998. Earlier, an accountability court in Islamabad had adjourned the hearing of the fake bank accounts case against Zardari, his sister Faryal Talpur and others until April 29. Special security arrangements had been made within and around the Judicial Complex housing the NAB court to avoid any untoward incident. KIEV: Ukraine entered uncharted political waters on Sunday after an exit poll showed a comedian with no political experience and few detailed policies had easily won enough votes to become the next president of a country at war. The apparent landslide victory of Volodymyr Zelenskiy, 41, is a bitter blow for incumbent Petro Poroshenko who tried to rally Ukrainians around the flag by casting himself as a bulwark against Russian aggression and a champion of Ukrainian identity. 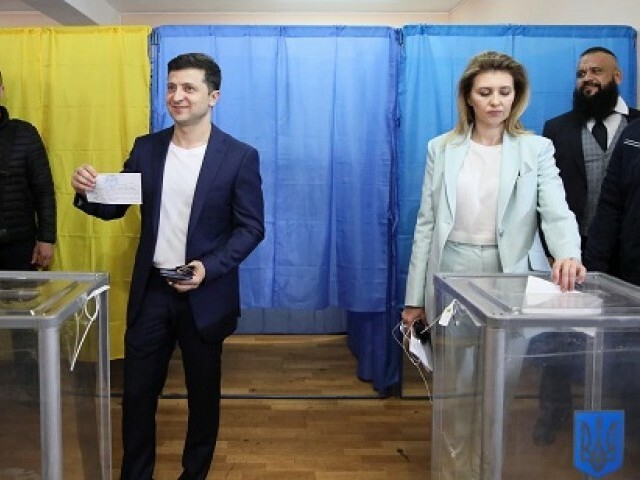 The national exit poll showed Zelenskiy had won 73 percent of the vote with Poroshenko winning just 25 percent. Investors want reassurances that he will accelerate reforms needed to attract foreign investment and keep the country in an International Monetary Fund program. We probably won’t understand how big these risks are earlier than June. Govern­ment minist­ry source says at least five Britis­h fatali­ties in deadly attack­sLONDON: Britons were among those killed in the deadly Easter Sunday blasts in Sri Lanka, the Foreign Office in London said. 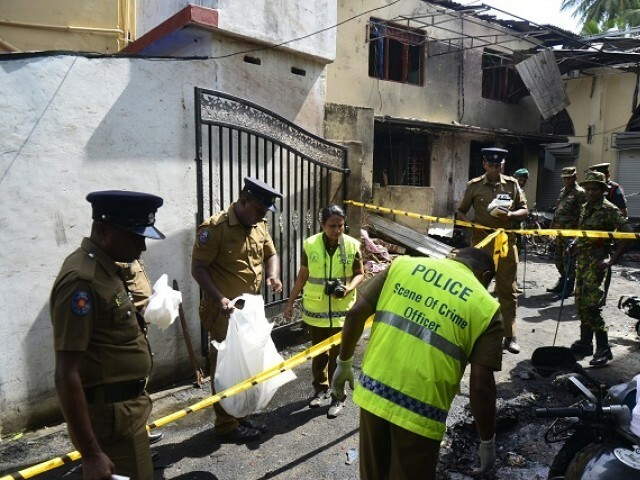 “We can confirm that British nationals were among those killed in today’s horrific attacks in Sri Lanka,” a Foreign and Commonwealth Office spokeswoman told AFP. James Dauris, Britain’s High Commissioner to Sri Lanka, was attending an Easter Day church service in Colombo that was cut short by the attacks. “We must stand up for the right of everyone, no matter what their religion, to practise their faith in peace.”Britain’s Foreign Secretary Jeremy Hunt also condemned the Sir Lanka blasts. He tweeted: “I’m deeply shocked and saddened by the horrifying attacks on churches and hotels in Sri Lanka. ISLAMABAD: The Pakistan Meteorological Department on Sunday issued a weather advisory predicting dust-thunderstorm and rain predicted in the upper and central parts of the country from Tuesday to Thursday. Dust-thunderstorm and rain associated with strong gusty winds was expected at scattered places in Northeast Balochistan (Quetta, Kalat, Zhob, Nasirabad & Sibbi divisions), Upper Punjab (Rawalpindi, Gujranwala, Sargodha, Faisalabad and Lahore divisions), Islamabad from Tuesday to Thursday, while in central/southern Punjab (Multan, D.G.Khan, Sahiwal and Bahawalpur divisions), at isolated places in Sukkur division on Wednesday and Thursday. Hailstorm was also expected at isolated places in upper Punjab, upper Khyber Pakhtunkhwa and Kashmir during the period. However, rain-thunderstorm with gusty winds was expected at isolated places in Kohat division and Gilgit-Baltistan. However, rain occurred at isolated places in Malakand division, Khanewal, Layyah and Gilgit-Baltistan. Poroshenko lost to the television star across all regions of the country, including in the west where he traditionally enjoyed strong support. After taking the most votes in last month’s first-round election, Zelensky had enjoyed a strong lead over the 53-year-old Poroshenko going into Sunday’s poll. “We have united Ukraine,” he said, wearing a casual suit with a t-shirt and accompanied by his wife. “We’re tired of all the lies,” said Marta Semenyuk, 26, who cast her ballot for the comedian. US Secretary of State Mike Pompeo called both Zelensky and Poroshenko on the eve of the run-off vote. 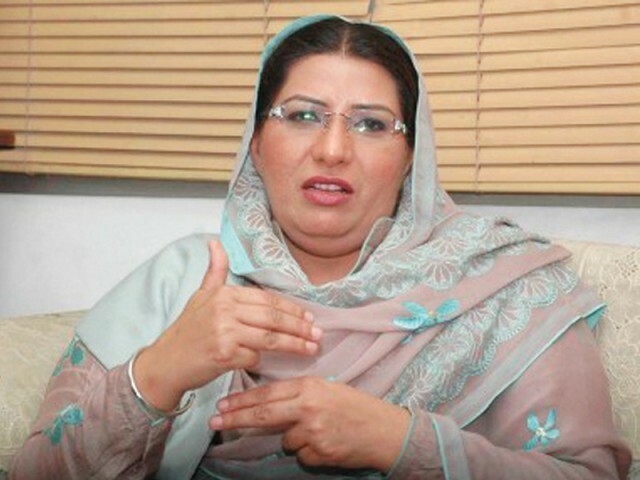 ISLAMABAD: Special Assistant to Prime Minister (SAPM) on Information and Broadcasting Dr Firdous Ashiq Awan warned Pakistan People’s Party (PPP) would be wiped out even in Sindh, if it did not refrain from corrupt practices. Speaking to journalists on Sunday, SAPM Awan said that the PPP’s vote bank had shrunk and the party is reduced to the interior Sindh only due to its corruption. She said that PM Imran Khan was a ray of hope for the masses, adding that the Pakistan Tehreek-e-Insaf (PTI) has become a symbol of unity and federation. She said that people gave PTI mandate to hold corrupt accountable. She also issued a statement condemning the multiple bombings in Sri Lanka on Easter Sunday that leftover 200 people dead and hundreds injured. LAHORE: Six people died while others were rescued in time with the collapse of a house in Bhatti Gate area of Walled City Lahore whereas, the Walled City of Lahore Authority (WCLA) claims that the roof collapsed because of the negligence of a resident who was altering the rooftop without approval and technical assessment of the WCLA, Pakistan Today has learnt. The house that collapsed was house number B-184 in Muhallah Islam Khan inside Bhatti Gate and the owner was Umer Hayat. Reportedly, the size of the house was 3 marla consisting ground floor with two upper storeys and a parapet wall. Additionally, it was also an old building which had to be repaired with different techniques. The owner was using a material which was not suitable for that kind of building”, he said. MUZAFFARABAD: Expressing deep concern over the deteriorating health conditions of detained Hurriyat leader Yaseen Malik and increasing custodial killings in Kashmir. 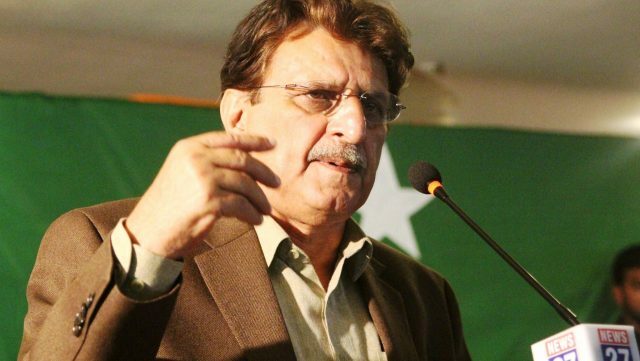 Azad Jammu and Kashmir (AJK) Prime Minister Raja Farooq Haider Khan has called upon the United Nations (UN) to intervene and send a fact-finding mission in both sides of the divide to assess human rights abuses. “I request the foreign missions of Pakistan to raise the issue in their respective country exposing India by presented the document released by UN human rights commission to win the support of the influential countries for sending a fact-finding mission in the valley,” Haider vowed while addressing a press conference at his official residence here Sunday. AJK premier said wife and daughter of ailing leader Yaseen Malik had been refused a visa by Indian government who wanted to see him in a hospital in Delhi and demanded the Indian government to allow them on humanitarian grounds. 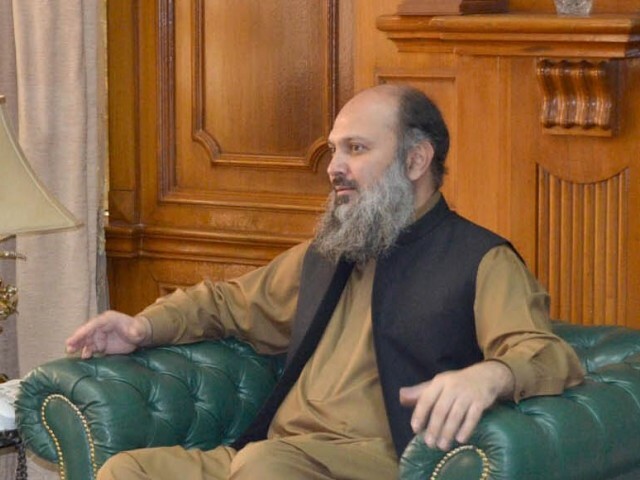 To a question, he said AJK was ready to welcome a UN fact-finding mission as human rights situation is far better in the territory and he also discussed with Foreign Minister Shah Mehmood Quraishi who agreed to give the excess to such a mission in AJK to assess human rights situation in all parts of divided Kashmir. Was it going to be some Arab visitor, or some North African already settled in France, the child of migrant labourers? The French cops didn’t even have the sense to produce eyewitnesses saying they had first heard someone yell, “Allahu Akbar” and then throw a lit match into a pile of kindling. The cops didn’t even claim to have identified a mad Muslim as the attacker. The PCB doesn’t have a role in the selection of a parliamentarians’ team for the coming post-World Cup tournament. Pakistan has deprived itself of its most potent weapon, Imran Khan, because of the absurd age limit of under 35.